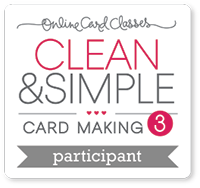 I’m back with my last card for the online card class – Clean and Simple Card making 3. 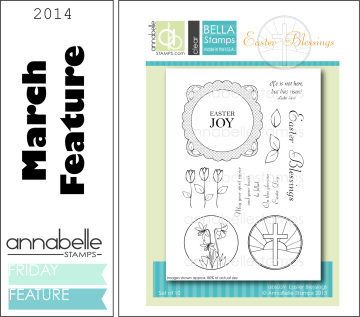 I have created another one layer card, concentrating on adding texture with an embossing folder (and using a die as a diffuser) as shown by Julie Ebersole on Day 9. 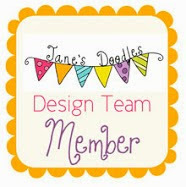 I also decided to give Dawn Woleslagle’s creative colouring technique a go as shown on Day 8. 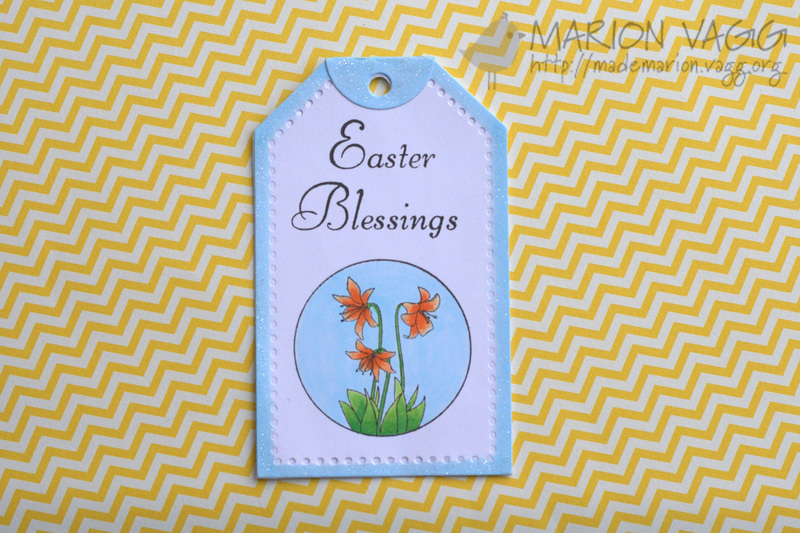 After stamping the floral image, I used a Copic O Blender pen to ‘watercolour’ the image. It is a really cool effect. It has been so overcast here and has rained non-stop for 2 days. I’m about to build an ark I think! 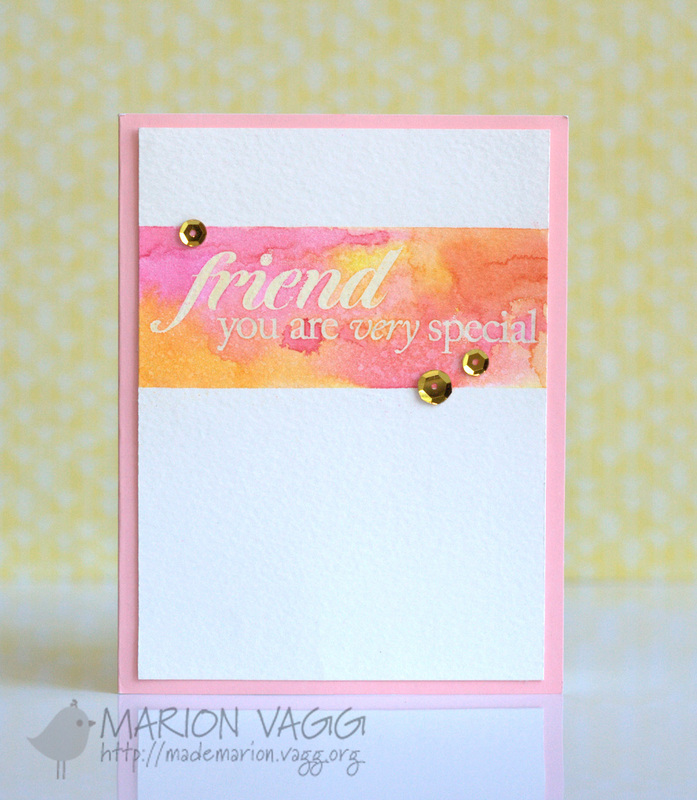 I have a few more cards I want to post before the end of the online card class – Clean and Simple Card making 3. 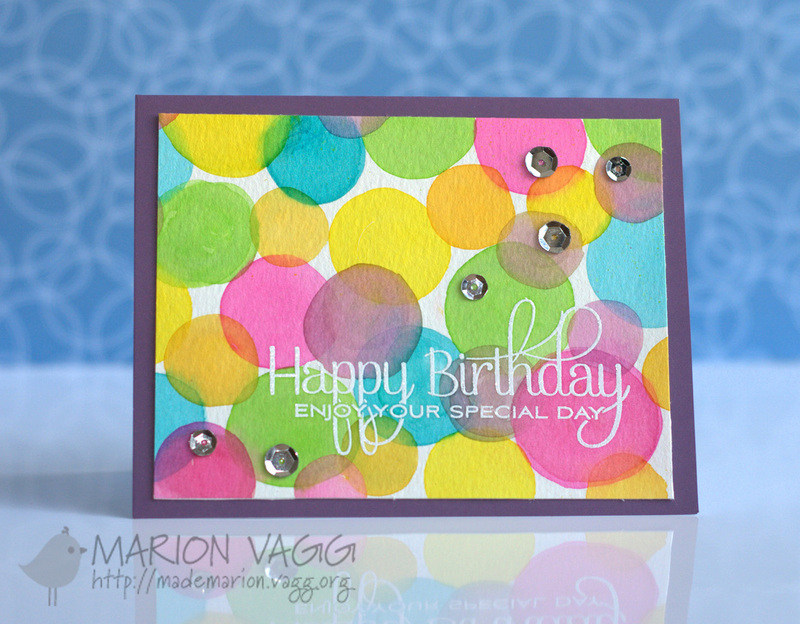 I simply loved Cristina Kowalczyk’s card using masking and embossing powders. Very clever indeed. 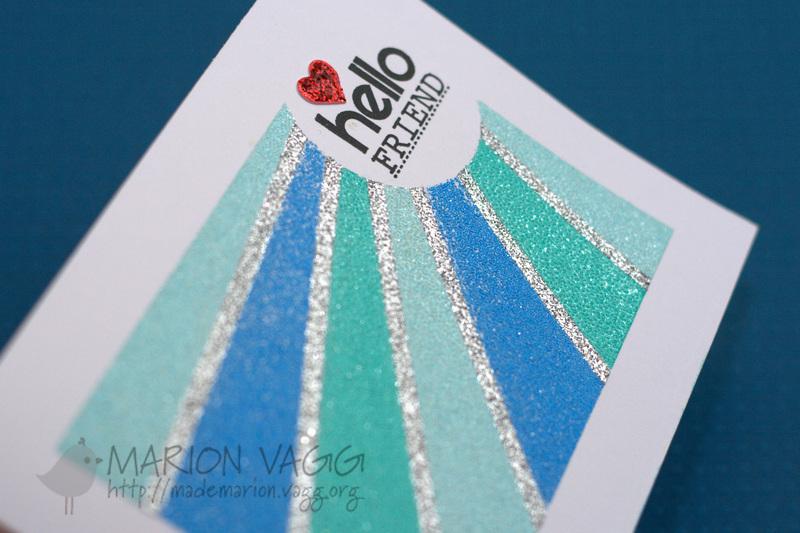 Instead of having a blank space between the different colours of embossing powders, I used a silver glittery embossing powder. This card was fiddly (and this was the second attempt), so not sure I would do it again in a hurry, but it certainly is a one layer card (except for the red heart). Removing all the masking tape to reveal the final card was fun though. I’m popping this in the Simon Says Stamp Glitter It Challenge. Other Supplies: Zing embossing powders (Powder, Wave, Aqua), Silver Glittery embossing powder – brand unknown (I’ve had it for about 15 years!! ), Heat tool, Washi tape, Eclipse masking tape and Inkadinkadoo masking paper, Martha Stewart Hearts a Plenty punch, Stickles – Christmas red. 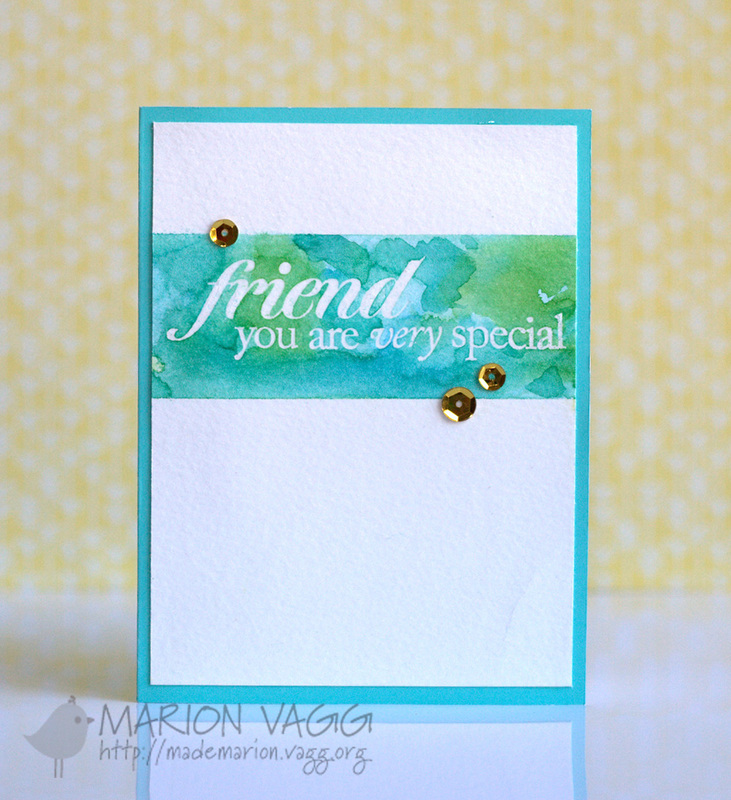 Yes, me again…lots of posting due to the online card class – Clean and Simple Card making 3. 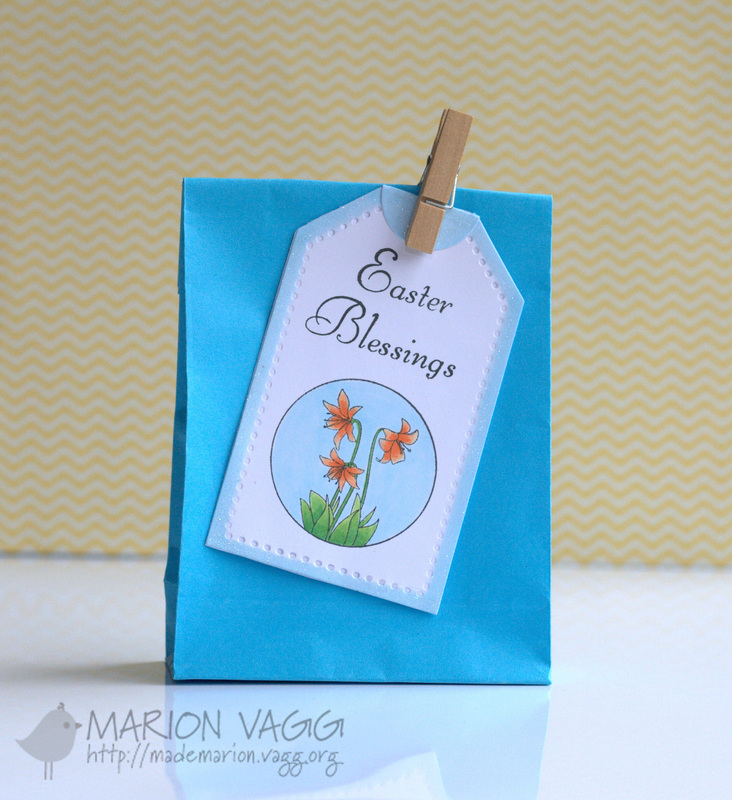 I’m back with some more cards for the online card class – Clean and Simple Card making 3. 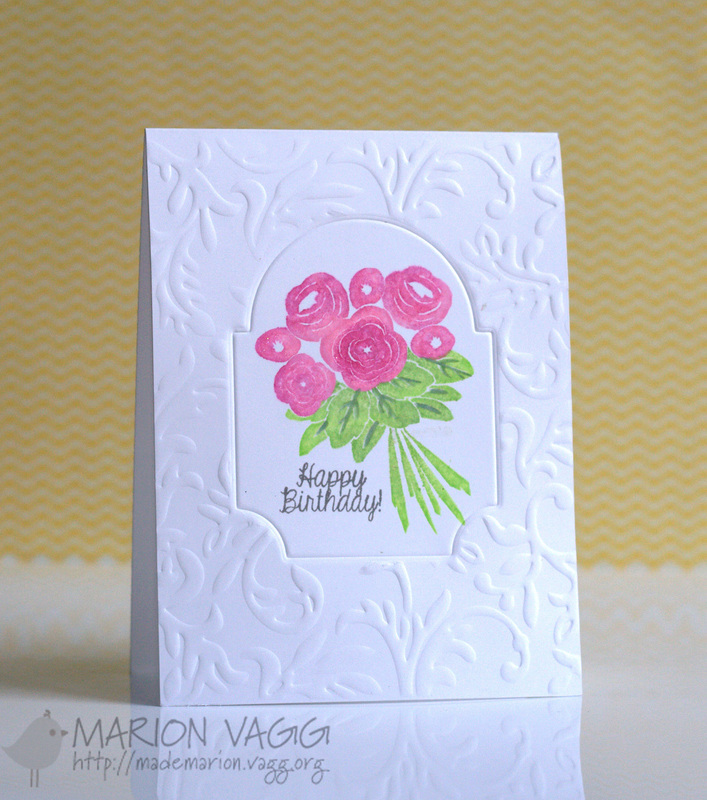 For these cards, I have used a new technique for me – iron off embossing as shown by Jennifer McGuire on Day 5. I tried two different colour schemes. Now if you are a one layer purist, these are not one layer cards, but as I didn’t add the watercolour panel on with any foam dimensionals, it is close enough for me. 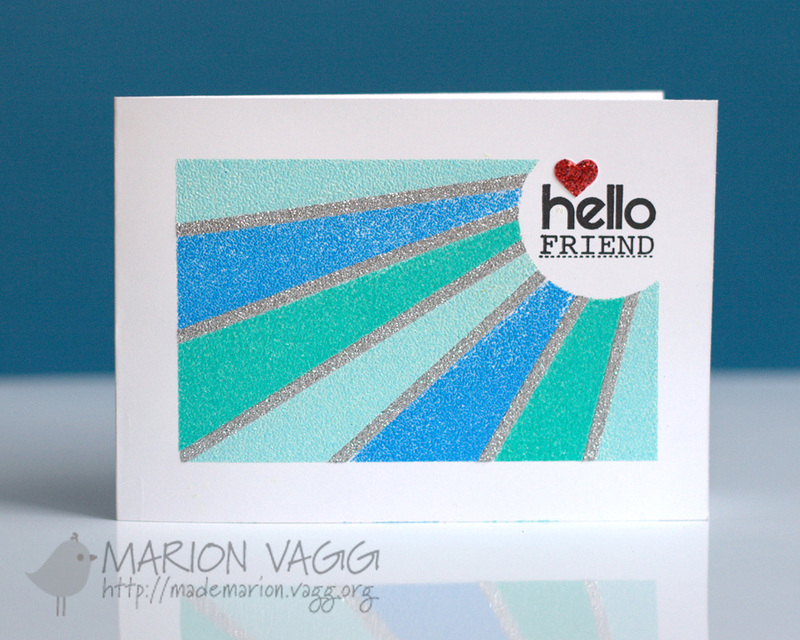 And this is the FIRST time I have used sequins on a card. I am not usually a fan of sequins, but I thought they added something to the cards.